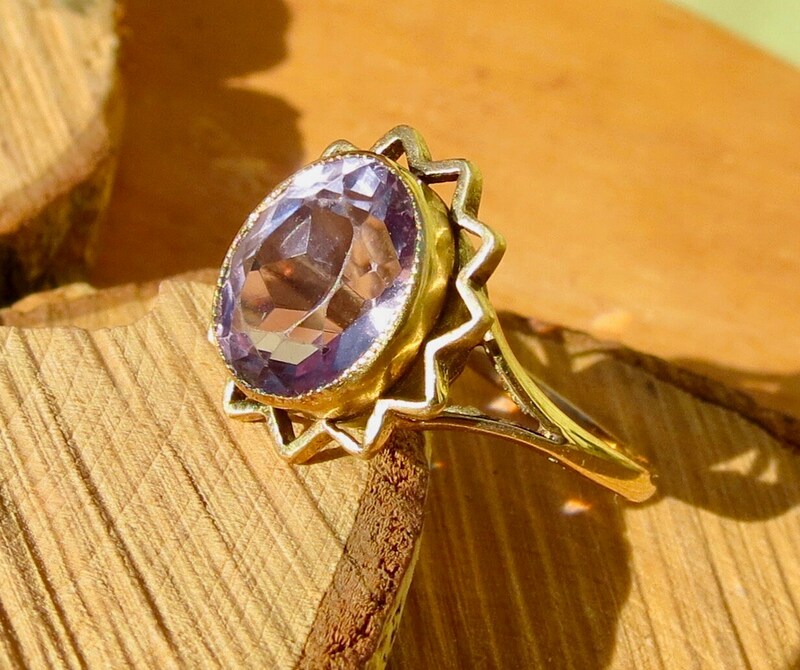 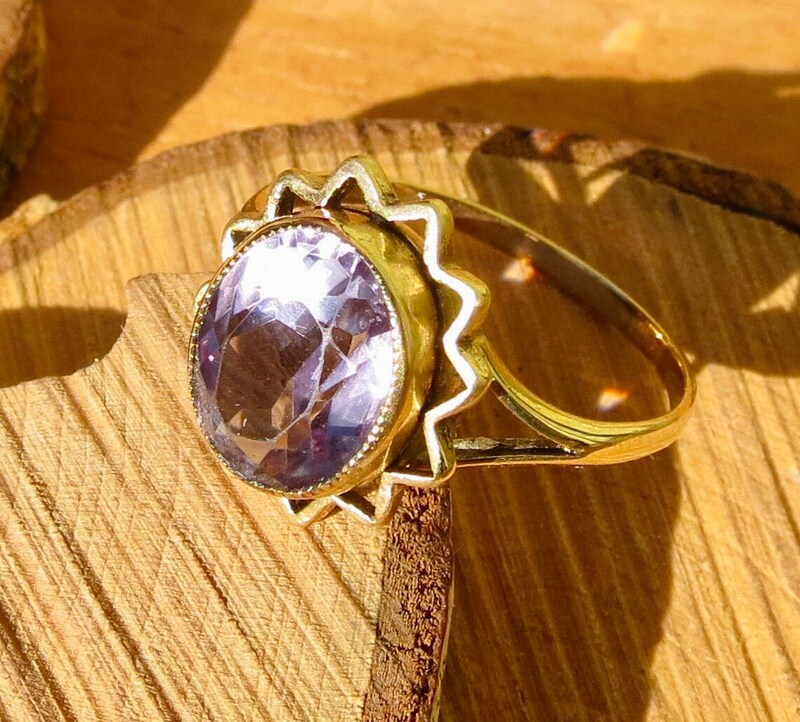 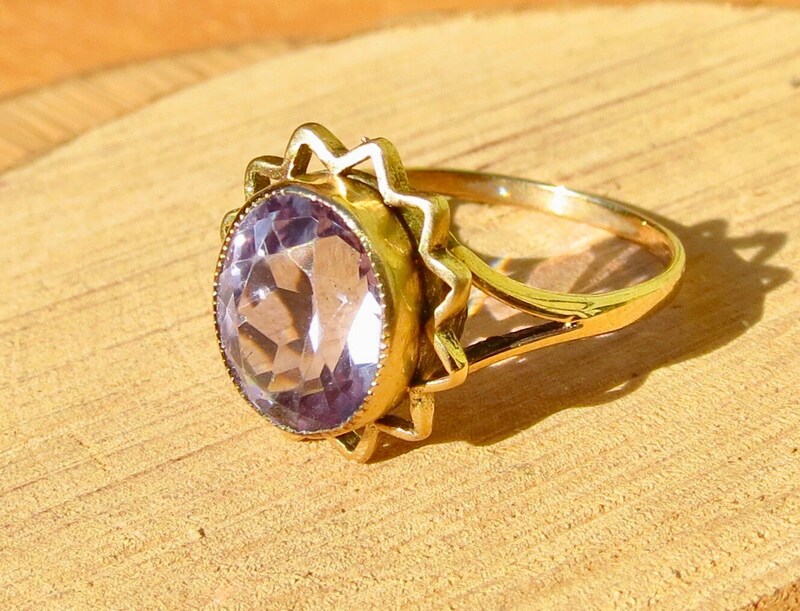 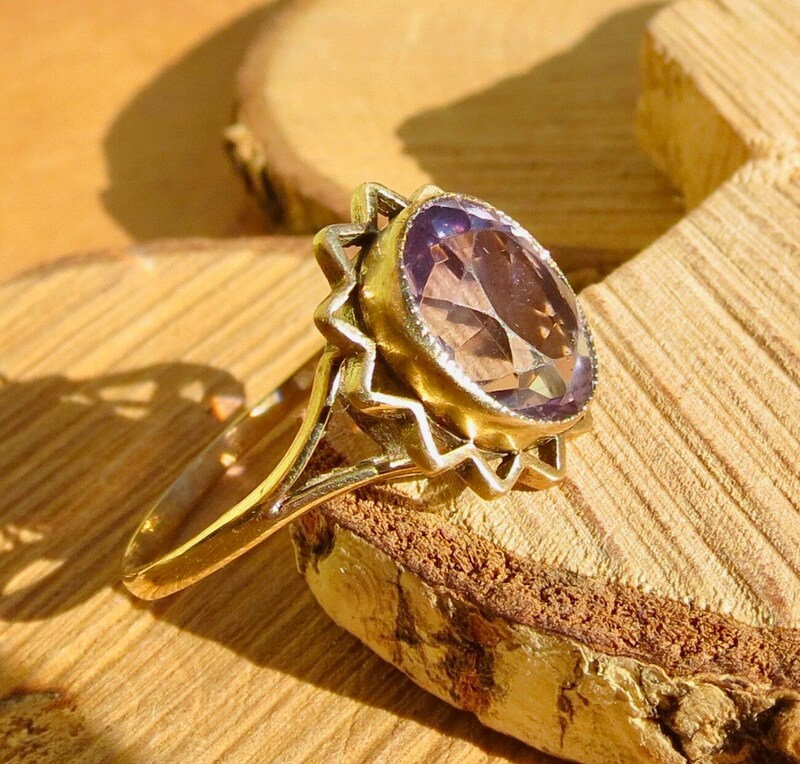 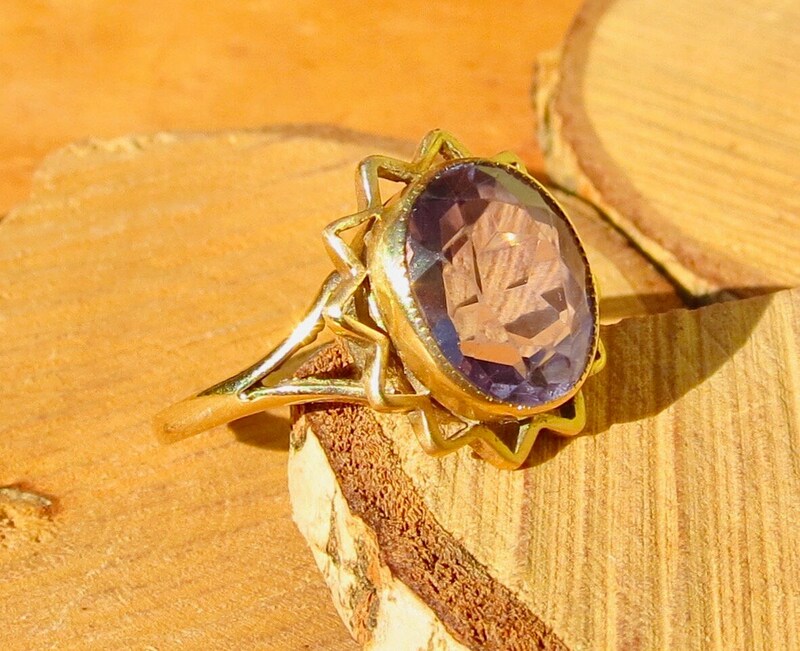 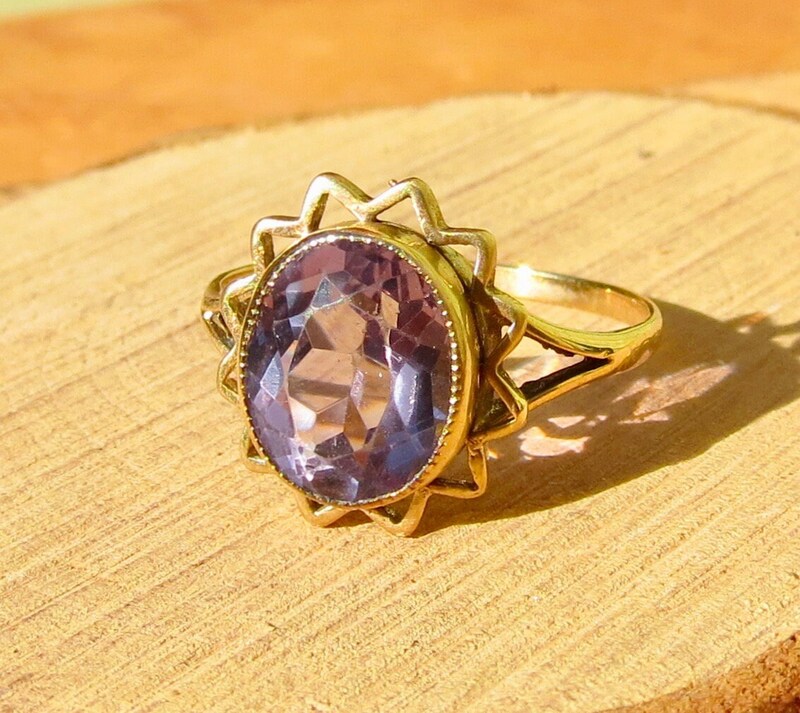 This 9k yellow gold ring has a big multi-faceted oval cut amethyst set in a star burst rub-over mount. 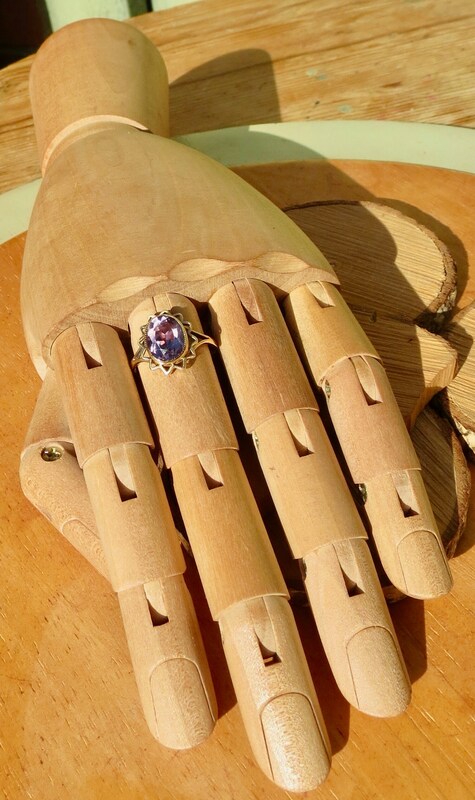 The split shoulders lead to a plain shank. 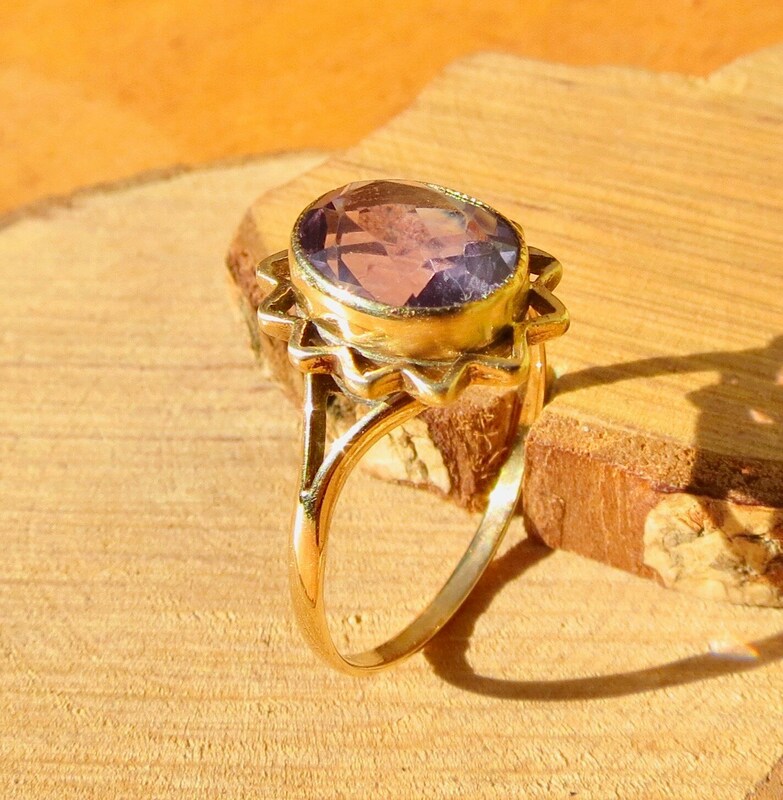 The stone has good colour saturation, faceted oval cut and weighs 1.75 Carats. 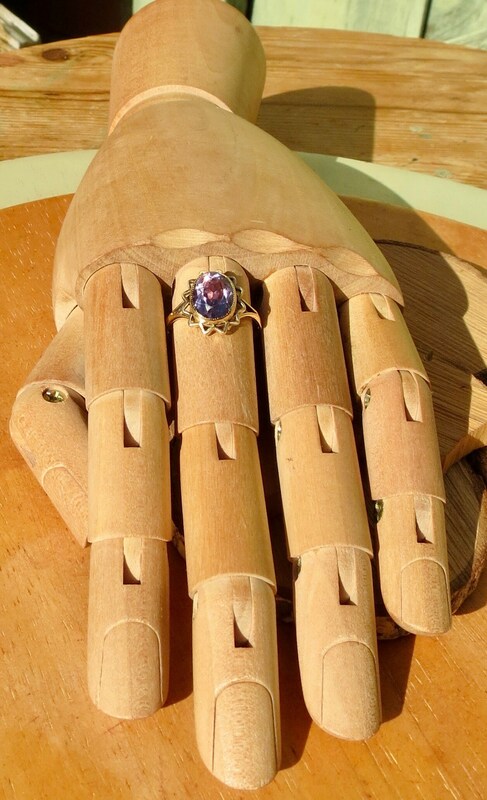 if you prefer I can have my goldsmith resize it for you at an additional cost from £20 ($30).